JAMESTOWN, N.D. – The Stutsman County Courthouse State Historic Site will host two Holiday Open House events on Dec. 9 and 16, from 1 to 5 p.m. The rooms of the Courthouse will be dressed for the holidays with themed trees decorated by community organizations and businesses. The 1883 Courthouse Committee and Courthouse staff will decorate the halls and courtroom. The events are free and open to the public; hot cocoa and cookies will be served. 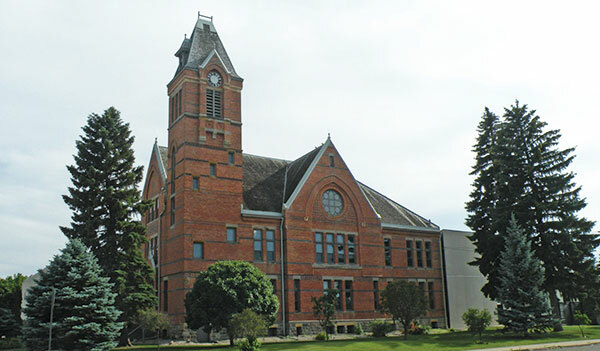 The historic 1883 Stutsman County Courthouse is a state historic site managed by the State Historical Society of North Dakota. It is located at 504 3rd Ave. SE, Jamestown, and is open by appointment between Labor Day and Memorial Day. Learn more about the Stutsman County Courthouse at history.nd.gov/historicsites or call 701.252.1170. Find out more about additional upcoming educational programs sponsored by the State Historical Society of North Dakota at history.nd.gov/events or call 701.328.2666. Copyright © 2018 State Historical Society of North Dakota, All rights reserved.